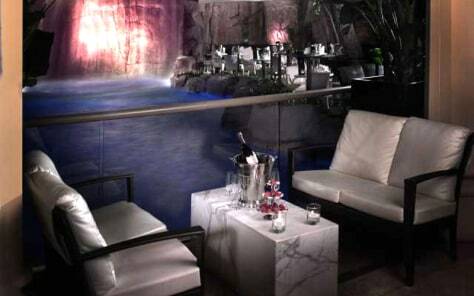 Tryst boasts a 90-foot waterfall and a lagoon-themed atmosphere. Since it's a partially open-air club, the outside breeze gives the dancers at Tryst a little extra lift. The most desirable tables are those on the dance floor, near the obligatory stripper pole and outside by the waterfall.